It's spring time, the flowers are blooming and it is time to spring clean!! Not too eager to clean out the clutter? 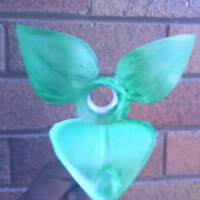 Well, let's see what you can make out of some plastic bottles. Follow our easy step by step instructions and see just how easy it is to make your own spring flowers by recycling old plastic bottles. This will make one flower. 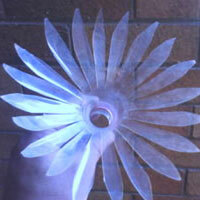 If you collect more plastic containers or bottles you could make a bouquet of plastic flowers!! 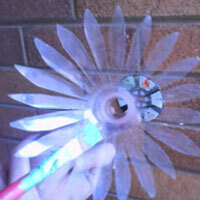 Collect all the empty plastic bottles you can to create your spring flowers out of plastic. 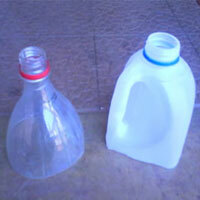 Using a scissors, cut the plastic bottles in half. 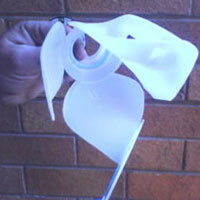 From the picture below you can see we have used 1 x 2l cooldrink plastic bottle and 1 x 2l milk plastic bottle. Holding the top half of the plastic Coke bottle, start cutting slits from the bottom to the top with your scissors until you reach the beginning of the bottle neck. This will start the formation of the flower petals. 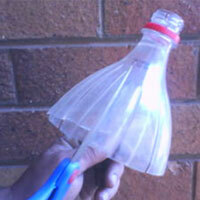 The 2 litre plastic milk bottle will form the plastic leaves for your flower. 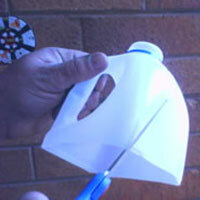 With your scissors start cutting the milk bottle up into leaf shapes. We cut the plastic milk bottle to make 3 leaves. 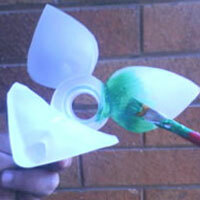 Paint the leaves created from your cut plastic milk bottle in green. Leave to dry. While waiting for the green paint on the leaves of the milk bottle to dry, start defining the petal shapes from the half cut plastic cool drink bottle. 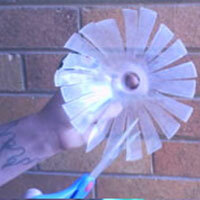 Make petal shapes by cutting the ends into points. Paint your flower shape in a bright colour. Bright colours, such as orange, red and yellow are always good colours for flowers. Leave to dry. 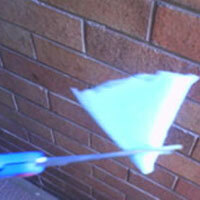 Take your piece of sponge and cut it into a circular shape. 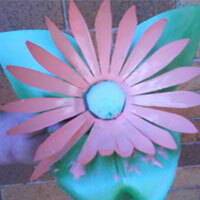 Insert the circular piece of sponge into the centre of your “Spring Flower”. 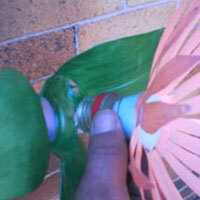 Once the paint on the flower and leaves has dried, insert the bottle neck of your flower into the bottle neck of the leaf structure as per picture below. Step back and marvel at your creativity! 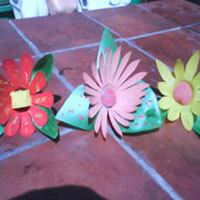 Take a look at the picture below for some ideas on other flowers you could make.